The world over, 2018 was a period of intense AI-related creativity. It was a year in which artificial intelligence became better operationalized, with many companies beginning to move their AI systems to the cloud for increased ease in the building, refining, deploying and enhancing of machine learning environments. As a result of this productivity boost, we are seeing AI pointed more and more at the interface between human and company. Chatbots are becoming more sophisticated in better understanding and manipulating the human on the other end of the line in the name of providing improved customer experiences. If you can’t tell whether the voice on the other end is a person or a robot, you’re not alone. Credit and financial services provider RCS introduced a chatbot to engage with customers across their digital platforms. The bot is made up of two different modes: the BOT Mode and Human Mode. If it does not understand a question, an RCS customer service agent can take over the conversation in real time. Blockchain technology as well, with its potential to efficiently record encrypted time chains of events as applied to contracts, interactions, and occurrences; is making some serious strides towards transforming the manufacturing industry and others. Moving contracts from paper to immutable chains opens up a vast arrangement of efficient construction of mini-contracts allowing for ease and speed of windows of ownership of assets, such as renting a car for a few hours. In the midst of all of these innovations, the European Union’s General Data Protection Regulation (GDPR) – which is aligned to South Africa’s Protection of Personal Information (POPI) in principle — tightened up its efforts to improve ethical uses of machine learning models making it imperative that companies correctly explain the decision processes of their AI and machine learning systems when applied to automated individual decision making. This raises the bar for both explainable AI and ethical AI. Increasingly, my work and that of FICO’s team of analytics researchers has been laying the foundation for ethical AI, which I predict will be the tech industry’s biggest development in 2019. As a data scientist and member of the global analytics community, creating ethical analytic technology is very important to me, particularly in my role of serving FICO customers. Blockchain: Even though Bitcoin, the most famous instantiation of the blockchain, had a lousy year, this underlying technology is on fire in novel business applications such as car rentals. In 2018 I turned my thoughts on blockchain inward, producing a patent application around using blockchain to ensure that all of the decisions made about an AI model are being recorded and are auditable. These include the model’s variables, model design, data utilized and selection of features, as well as the ability to view its latent features, and all scientists who built portions of the variable sets and model weights. The sum and total record of these decisions provide the visibility required to effectively govern models and satisfy regulators. Explainable latent features: Another patent addresses the immaturity of the AI industry overall—which is painfully evident when the conversation turns to machine learning algorithms’ explainability. Specifically, for all of data scientists’ talk about deep learning being game-changing technology, questions about the details of learned patterns in a shallow or deep neural network are usually answered with quizzical silence, even at the largest companies. This is completely unacceptable for anyone who has to talk to a customer about the model or represent it to a regulator. My patent for explainable latent features “explodes” a neural network model in a sparely connected multi-layered model, such that each hidden node can be explained succinctly. I recently talked about explainable latent features at an innovation workshop , and the audience was very enthusiastic about building transparency into models in this way. 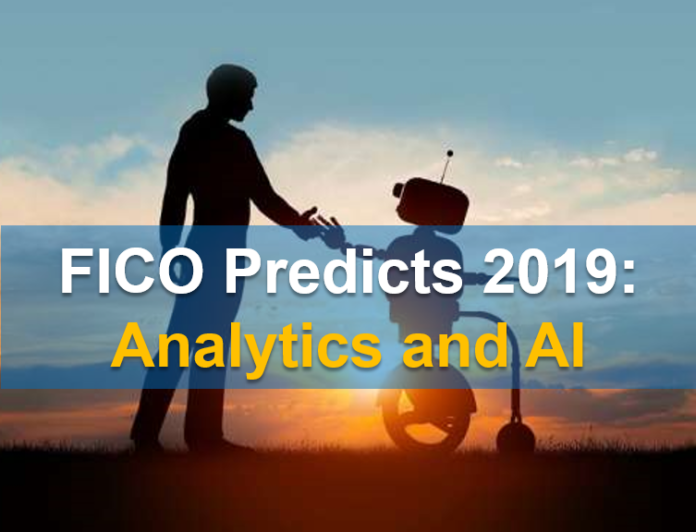 Further, this capability has now been integrated into FICO® Analytics Workbench™, allowing FICO customer organizations to build these explainable models. Bias removal: This ethical AI topic is little broader. It looks at restricting the type of data that would go into a model build, to prevent the introduction of bias—a conceptual cornerstone of ethical AI. I’ve filed two patents to facilitate decision-making on whether particular data and derived variables are suitable in a model or not. For example, a model that factors in a person’s height would be useful in calculating the production cost of a pair of blue jeans (which typically have the same price, irrespective of the inseam length), but not a loan applicant’s earning potential or creditworthiness.